I have been an advocate of proper keyboarding skills for a long time--even before I became a computer and keyboarding teacher. The amount of time a person can save in a day, by having efficient keyboarding skills, is significant. Imagine what you do in a day, and if you were better at typing, how things might be different. Lately there seems to be a question as to whether or not keyboarding skills still are or will be necessary. For example, is typing with our thumbs the way of the future? (Ha ha) Or can't we just speak what we want to our devices? Of course technology is constantly changing, but keyboarding has been around a long time. I doubt that Christopher Latham Sholes could predict how enduring his invention would be. (He is credited with inventing the QWERTY keyboard in the late 1800's.) Laptops are definitely not going to be obsolete in the next few years. I cannot say that my school district has the best implementation of keyboarding instruction. By the time I get my computer students in 6th grade their poor habits are very ingrained. Money, staffing, and time limit the amount of keyboarding instruction our students receive in elementary. And as explained in this article from Education World, keyboarding is sometimes thought as extra, and teachers trained in typing instruction are not always the ones teaching it. 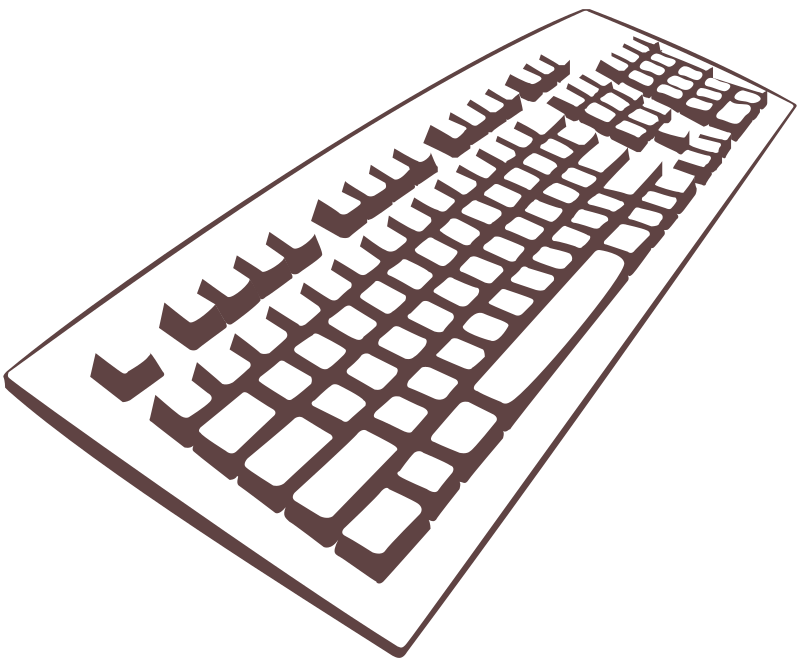 I recently read an article promoting the continued importance of keyboarding skills. Technology in general is still growing, and those of us who are tech geeks know there are somethings that a smartphone or tablet still just cannot efficiently accomplish. Also consider the increased use of computers for standardized and/or state-mandated testing. How can a student type a writing test efficiently if he or she doesn't know how to type? If you are a classroom teacher who is required to also teach keyboarding, I recommend the article I noted above. The benefits of good technique, outweigh speed and accuracy. If a student practices good technique, the rest will come in time. There are several free resources one can use to teach typing. Just remember these are mean to accompany, good teacher instruction, as any technology tool is. Typing Club is a free typing program that I have used with my students. It allows me to create accounts to follow my students and assign typing tests. I like that Typing Club has a "Log in with Google" feature so my students don't have to remember another username and password. Although not free, Edutyping is a great, comprehensive program. My school uses this in elementary and I completed a thorough exploration and review of it during my typing pedagogy class several years ago. It does offer free trials for teachers. More free typing resources can be found here at http://www.freetech4teachers.com/, one of my favorite resources!